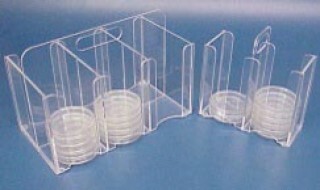 Stack, store or transport empty or prepared petri dishes. They are designed to hold 66- 100 mm dishes in the economical, square style holder. Copyright © 2019 Mitchell Plastics & Casegoods. All Rights Reserved.